Why you can still eat meat and save the world | Our Farm by Earth Flora Inc.
Well, some people have opted to go vegan. They say the way animals are raised (cows, pigs, chickens, a.k.a. factory farming) is fraught with evil. The animals suffer in cramped spaces, force-fed, dehorned, castrated, and injected with antibiotics, hormones, living in cruelty and deprivation. But as it often happens, the ones who truly care find a way. They don’t shake their heads in disgust and look the other way. Instead, they go into the system and change it. That’s what sustainable meat is. It is supporting a system that raises animals in an ethical and sustainable way. A simple definition: it’s a way of raising animals on open pasture, grazing as nature intended them to be, and without hormones or antibiotics. For us, there are several reasons why sustainable meat is the answer to the problems posed by eating meat: animal welfare, economics, the environment and your health. Everyone knows how factory farming treats animals: cages, hormones, antibiotics and cheap feed, sometimes even animal by-products and oftentimes GMO. On the other hand, sustainable meat come from animals raised on pasture. The animals eat grass and live as they would in the wild. The Philippines can boast of an even more humane treatment of animals. 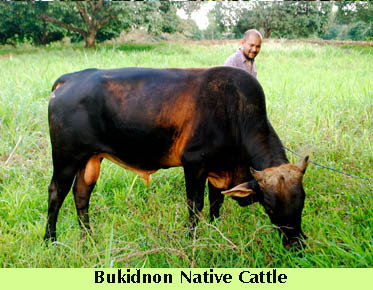 For example, DowntoEarth sources its pasture-raised meat from small family sized farms with as few as 1or at the most 4 cows. Local, small-scale animal farming works on many levels. With a small-scale system, the animals are never confined in small spaces. Why? It is simply not practical for small-scale farmers. They cannot afford it. Instead, they let the animals stay outside, grazing in the open field. More importantly, animals are treated in a much better way than animals on factory farms. In fact, the animals are treated almost like pets. Animals are not stressed. There’s no need to castrate or dehorn the bulls, for example, because they’re tame. What you get in the end are meat products from animals that have been raised humanely. We all know how much havoc factory-farming has caused the environment: greenhouse gases, harmful air and water pollution and destruction of ecosystems. Aside from the that, factory farming transports its meat over large distances, using valuable fossil fuel and causing further air pollution. On the other hand, sustainable meat, will do little harm to the environment. Farmers who raise their animals sustainably will often see the entire system as interconnected. They will see the need to make sure that the soils are healthy and that the grasses grow abundantly. Also, animals are slaughtered in ways that cause minimal environmental harm. You also don’t have to worry about waste. The manure acts to fertilize the portion of pasture they leave behind (and again don’t need to use synthetic fertilizers to keep their pastures lush.) Small-scale farmers also do not have the money for large-scale trucking or transport. Thus, meat is sold locally. Sustainable meat will often be from small family-owned farms. By supporting and buying meat from these small farmers, we help them find marketing and distribution channels for their meat. Local, grass-fed beef used to be the meat no one wanted to sell or buy. Farmers had to sell it at a very low price. However, with the increasing consciousness on the benefits of grass-fed beef, it has since climbed up the ranks and has now won a niche market. If you are still not convinced, think about what you are eating. You are what you eat. “Grain-fed, factory-farmed, industrial meat is pumped full of hormones to increase the amount of meat that can be produced from a single animal and antibiotics to counter the unsanitary conditions on factory farms. The animals are fed cheap grain and waste in order to decrease the cost of raising the animal and increase corporate profit margins.” (http://www.saisriskandarajah.com/happymeat/why.php) Also, imported meat, even if partly grass-fed will most likely be still grain-fed, simply because grass isn’t as readily available in colder climates. In cold climates, grain feeding becomes economical and practical because in winter there is no grass and hay is more expensive than subsidized grain. Some countries also get several months of drought because they have dry weather. 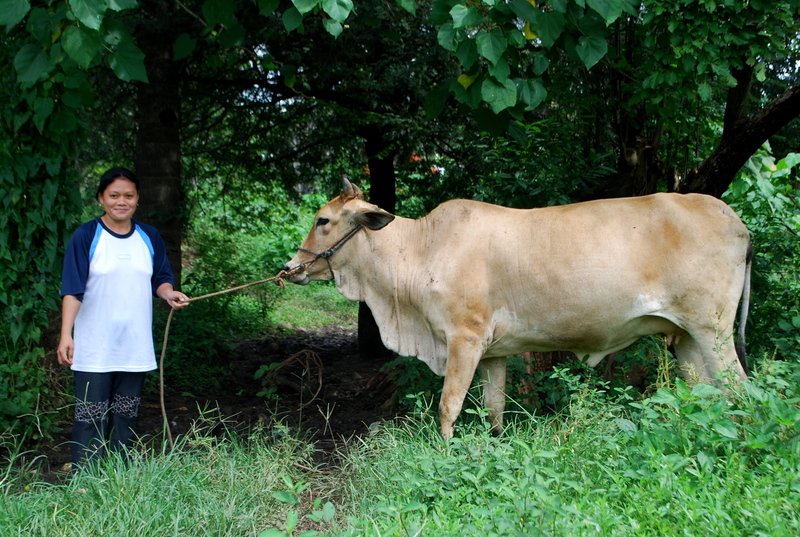 Again, this is where small-scale local farms in the Philippines have an edge. In the Philippines, not only do we have an abundance of grass, we also have good rainfall patterns all year round. This makes local grass-fed beef production sustainable and economically viable. Small-scale farms will let their animals roam free, and let their cattle eat grass. And because the cows were fed grass as nature intended them to and have lived stress-free, happier lives, there is no need for antibiotics. What you have then is food that is low in fat, and a great source of Omega 3 and the cancer fighting CLA. simple, yet effective. A lot of times it’s challenging to get that “perfect balance” between user friendliness and visual appearance. I must say you have done a very good job with this. In addition, the blog loads super quick for me on Firefox. Excellent Blog!